It's our mission to power the world with clean energy. It’s our job to support entrepreneurs building innovative in clean energy solutions. That's why every year you can find Powerhouse hosting Powerhouse Circle. Powerhouse Pavilion at Intersolar features a curated selection of the most ingenious intelligent energy startups from within the Powerhouse community who demonstrate their innovative energy solutions expo style. Startups see Powerhouse Circle as a gateway to access top industry executives and investors. Industry leaders recognize Powerhouse Circle as the most effective way to capitalize on some of the best startup deal flow in the nation. 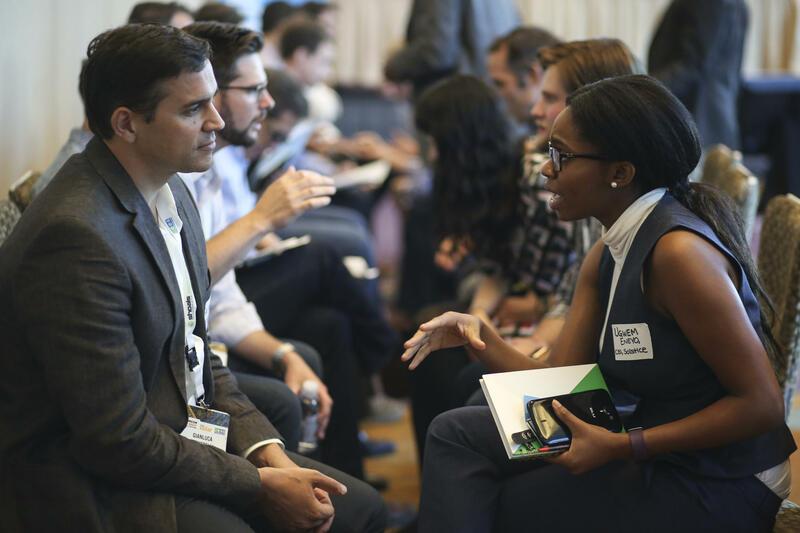 Powerhouse Circle brings together 25 founders and CEOs of clean energy startups, and 25 industry executives and investors for some intense speed dating. Powerhouse Circle is the nexus of where imagination and innovation meet in clean power.